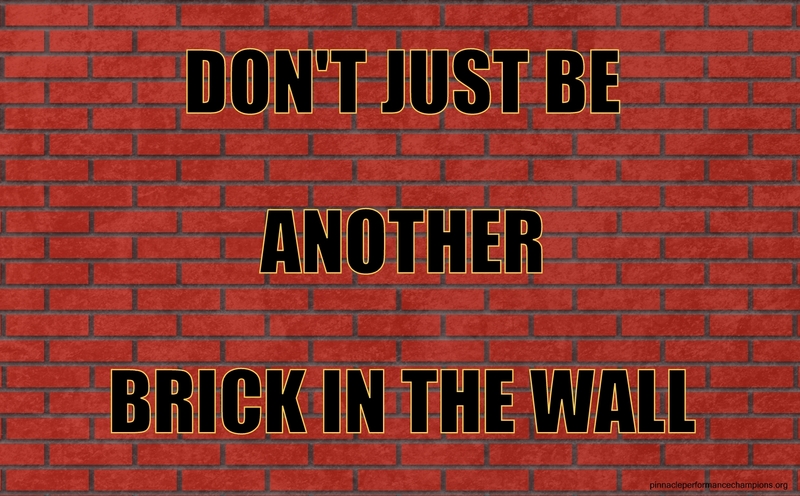 Are You Just Another Brick In The Wall? If you’ve been working in sales, customer service or just about any other professional services occupation for more than a week or so then you have likely come to the realization that you’re not the only one who does what you do. In fact, there’s a very high probability that you’re one of many, an UN-monopoly in your marketplace, with many competitors trying to capture and serve the very same customers that you are. So what’s your plan to stand out in the crowd? As I advise all my Pinnacle Performance clients, if you look, sound and feel like your competitors in the eyes, ears and experience of your customers than their decision to do business with you will usually be based on price. If you’re looking to be the Walmart of your industry and can support high volume at the lowest price than this a fine path to travel. On the other hand, if you’re not anticipating moving billions of dollars in goods or services, than I strongly suggest another path to prosperity; be different, be remarkable, be better, be worth more. As I detailed here, being unremarkable is hurting your business. Most businesses and the sales/service people in them are perceived as ordinary and this contributes greatly to the ordinary results they realize. Of course, you’re not like most businesses or those average folks in them, right? As I wrote in Would You Buy You?, YOU have a choice in the way you perceive yourself, manage yourself and, ultimately, sell yourself to others. So take a good like at yourself and your business approach. How do you look, sound and feel from the customers point-of-view? 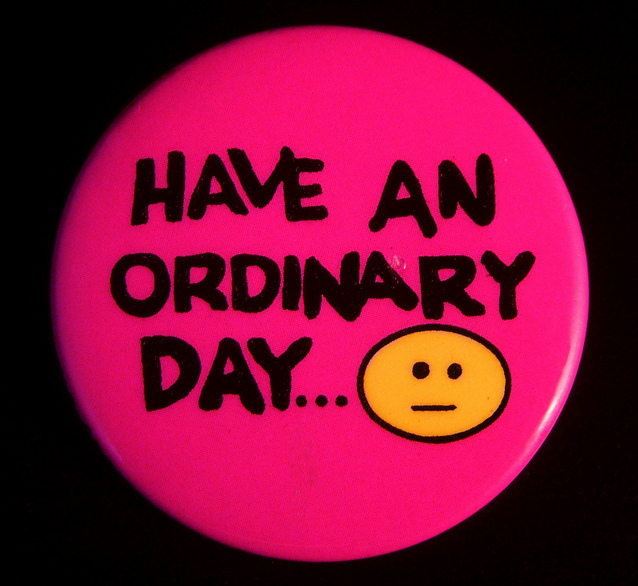 Remember, nothing perceived as ordinary is ever valued as something special. In my training and speaking engagements, I often talk about how success breeds success on both on a business and personal level. In sales, as an example, high-achievers win more business more often. This success builds confidence, creates momentum and they continue to succeed. It’s no coincidence that so many salespeople are at their best and often succeed immediately after they’ve had a prior successful sales interaction. On the other hand, failure breeds failure. As salespeople face rejection on a regular basis, and typically lose far more often than they win, they can lose confidence and momentum, consequently becoming vulnerable to ‘falling in a rut’ and failing for an extended period. The same is true of success in any endeavor. 1) Learn from your mistakes and take swift action to correct your course. 2) Capitalize on your wins and maintain your positive momentum. 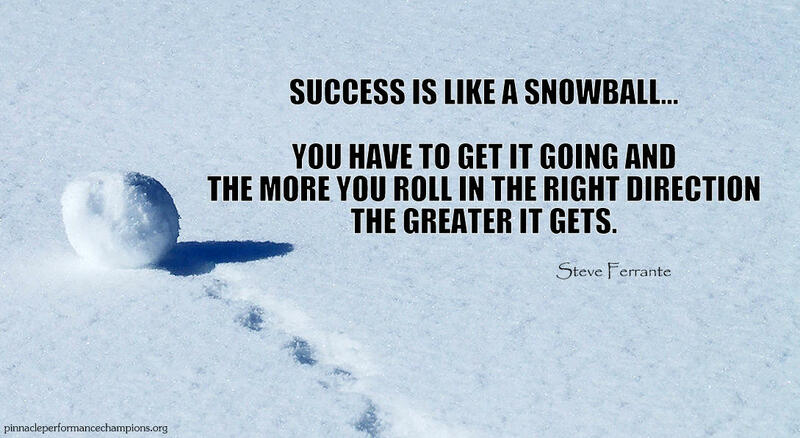 At the end of the day, success is like a snowball.. You have to get it going and the more you roll in the right direction the greater it gets!